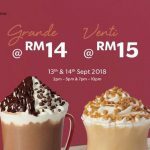 Starbucks offer ANY Grande handcrafted beverage at RM13 or Venti at RM14! 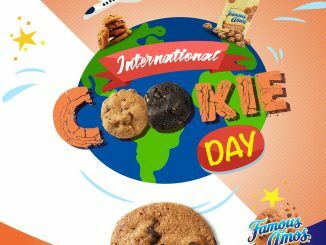 Promotion valid on 13 March 2018 and 14 March 2018, from 11am – 2pm and 5pm – 8pm! Applicable at ALL Starbucks stores! Terms and conditions apply, while stock last! 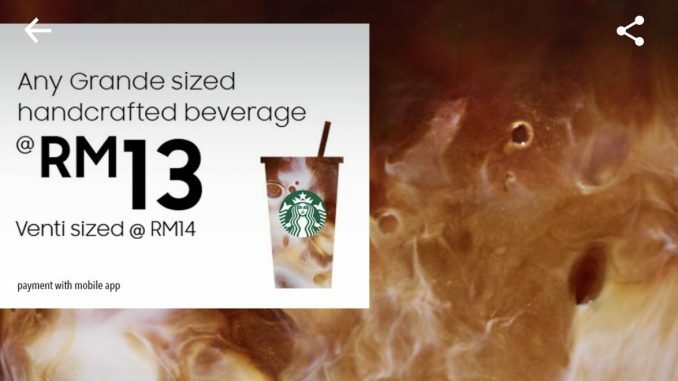 Starbucks Offer Grande Beverage at RM5 Deal! Click here for more detail now ! 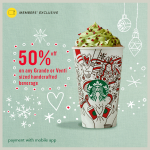 Applicable at ALL Starbucks stores in Malaysia except Sunway Lagoon Kiosk. 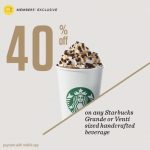 Starbucks ANY Handcrafted Beverage @ RM14! ~ 星巴克优惠任何手工饮料仅14令吉! 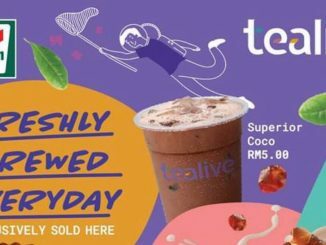 Tealive Asia Freshly Brewed Everyday at 7-Eleven!7-Eleven也能购买到Tealive 饮料了@只需RM5起! 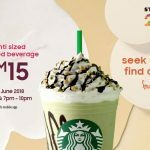 February 20, 2019 mygreatsales Food & Beverage, Promotion, Sales event Comments Off on Tealive Asia Freshly Brewed Everyday at 7-Eleven!7-Eleven也能购买到Tealive 饮料了@只需RM5起! 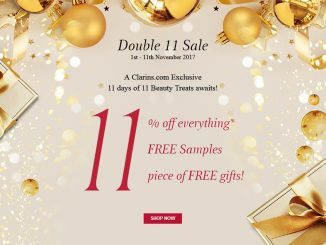 Clarins FREE Up to 11pc Sample Giveaway! – 免费多达11件Clarins样品!